Whenever you are hosting a get together, use this game plan to make sure everyone is safe and included! It takes teamwork! Fantastic!! This would make a great poster to hang on the wall at parties. Hint, hint to all non-allergy guests. Great conversational starter too. Sending hugs your way. 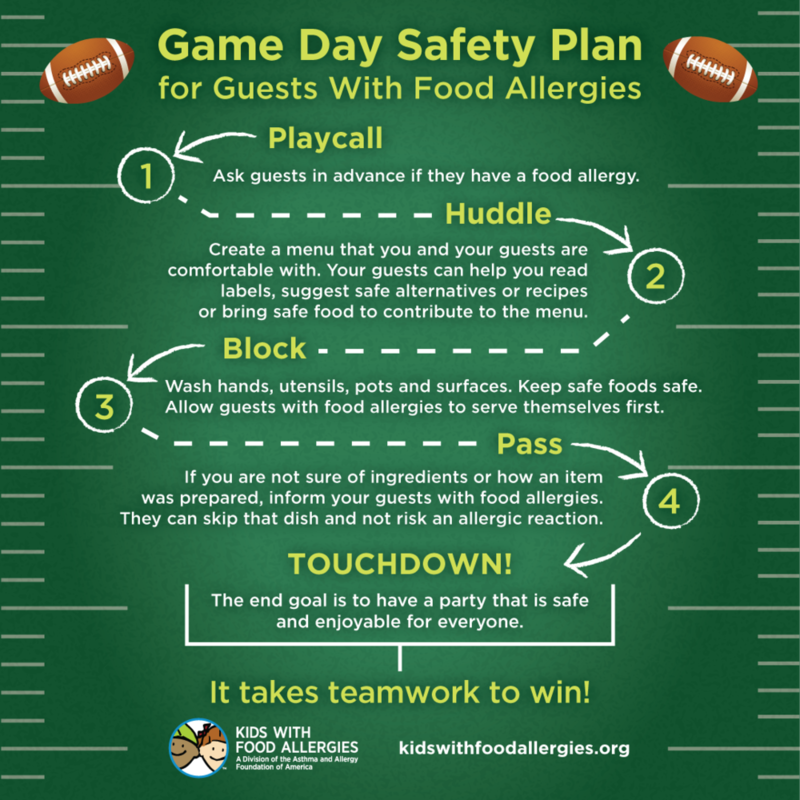 Great guide not just for game days but for ANY gathering!